Gas Safe Service is a new, locally-owned business servicing the suburbs of Melbourne. They approached BrainVox in 2017 for website design and provision ready for their launch later in the year. We also provided graphic design once they were on board, creating a new logo for them, and contributed a great deal of copy-writing and editing for the content of the site. Many of the projects we’re involved with are for startup businesses, so we always try to take cashflow into consideration. Luckily for Gas Safe Service we’d just completed another project for a similar business. We usually create 3 designs as an initial starting point for clients, so we had 2 designs which were still fresh and unused, 1 of which Gas Safe Service immediately liked. This meant that we could offer them a discount that cut their costs down significantly. Although they had an initial idea for a logo, in practice it didn’t prove to be feasible, so we quickly came up with some ideas for them and they ran with a design that incorporated a ‘thumbs-up’ set in a ‘gas flame’, in a mid-blue. The recognition of the ‘gas flame’ (and the use of colour) immediately identifies the business type to the first-time viewer, then the detail of the ‘thumbs-up’ adds the notions of quality and safety to the mix. 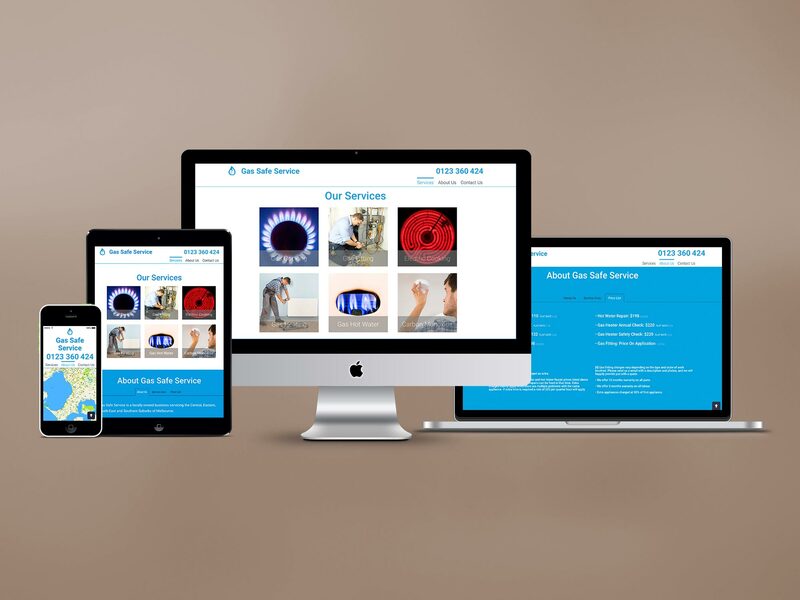 Also, by choosing our most affordable Website Starter Package, Gas Safe Service ended up with all the services they needed – like email, hosting, contact forms, maintenance and backups – included at a bargain price. With the website, logo, and other systems ready to go, we’re just waiting for the final launch go-ahead when their final certification is through.